CoinKeeper HD, developed by SMS Services, offers a robust platform for managing your personal finances. 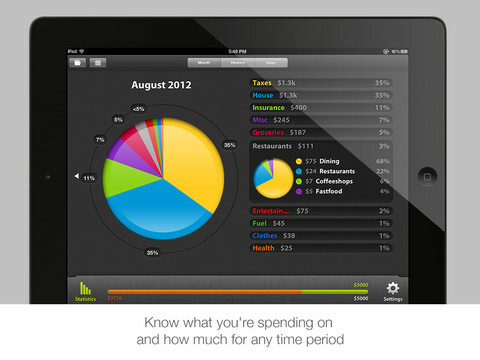 From budgeting to bills, CoinKeeper HD for iPad aims to make your life easier by tracking your expenses in a sleek, functional interface. A top-selling iPad app in the US, Russia, Singapore, Canada, and Germany, CoinKeeper HD may be a bit on the pricey side. However, the investment is worth it. 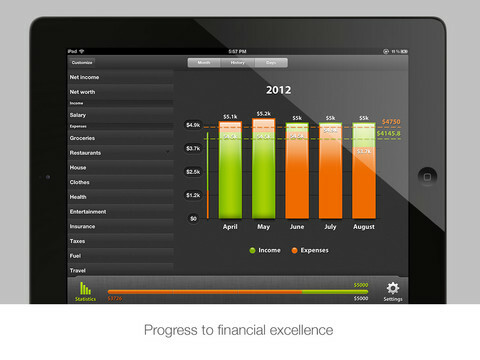 The interface is an absolute dream, and it’s very easy to get an overview of your current finances with just a single page of info. Also lovely: the cool way you record transactions. You simply drag coins from accounts into expenses, and it’s a wonderfully tactile way to keep your finances feeling tangible. You’ll instantly know in what financial categories you are overspending by the fill level and color of each expense category/coin. One drawback that I always find irksome when dealing with personal finance apps is how annoying the set-up process can be. 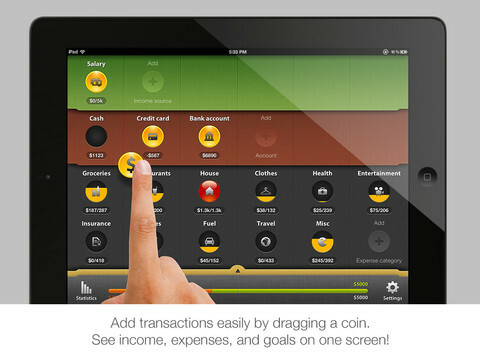 Not so here: CoinKeeper HD has a great quick start feature, which includes an autobudgeting mode. 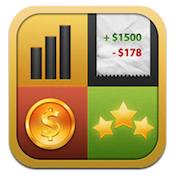 The iPad version of CoinKeeper is notable because of its vigorous, advanced statistics. You can see forecasts of your net income and net worth, and also track your expenses by categories and subcategories daily. Version 1.0.1 includes the following updates: UI and functionality bugfixes and improvements, full figures on main screen, transaction histories and statistics. 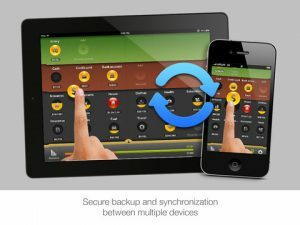 With a secure, password-protecting platform to protect your personal financial data (including instant or daily backup to a secure server) and a wonderfully accessible interface, CoinKeeper HD is a wonderfully expansive app that totally encapsulates and encompasses your financial life. If you need help keeping your budget under control, this outstanding iPad app reduces financial headaches for everyone. CoinKeeper HDis compatible with iPad. Requires iOS 3.2 or later. A small expedite fee was paid by the developer to speed up the publication of this iPad app review.